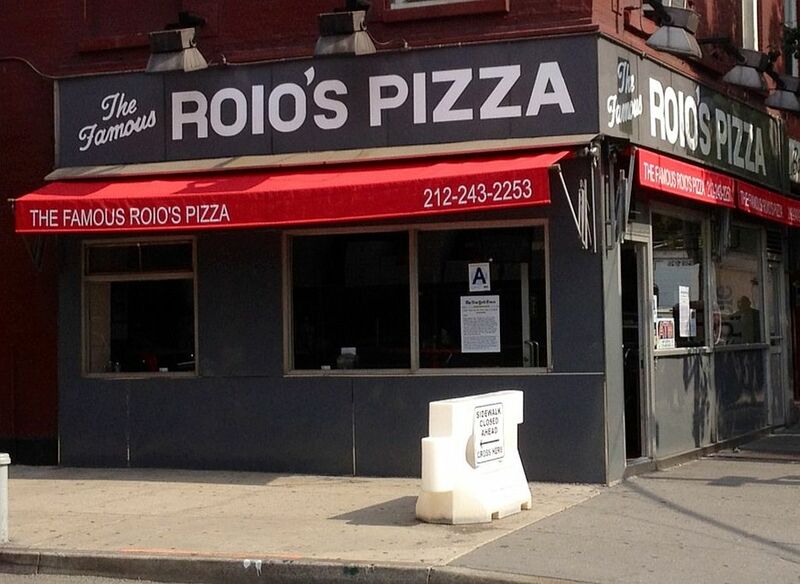 The Pizza Snob is sad to hear that Manhattan’s Famous Roio’s Pizza has closed. As first reported in Jeremiah’s Vanishing New York blog site, the day before Thanksgiving would have been your last chance to get a great slice at the true original Ray’s pizza. 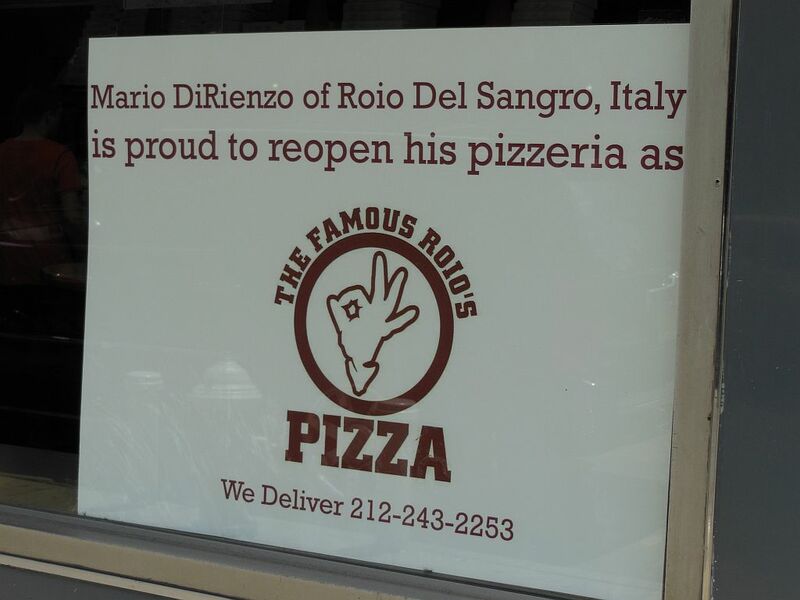 The closing follows the September 2012 death of original owner Mario DiRienzo, a true New York City pizza legend. After a long absence, DiRienzo had reopened in February 2012 under the new name with hopes of bringing up his nephew in the business. I am so glad that I got to taste an original Ray’s slice during Roio’s short tenure. I am extremely disappointed to hear of this news, and the fact that his nephew didn’t choose to keep running the business. I live in the Washington, DC area, where I had moved to from the Chicago area in 1986. A co-worker from Brooklyn recommended what was then Famous Rays of Greenwich Village to me. I have been making trips up to New York City at least a couple times a year since then. My favorite was their Famous Meat Slice; which had sausage, pepperoni, mushrooms, onions and green peppers. Does anyone know of anywhere else in New York City or Manhattan where I can go to find something similar? It was more than the basic cheese slice that many New Yorkers order.